Costa Rica is a great place to own real estate. The people are friendly, property is still a bargain and there are incredible jungle, ocean and mountain views at every turn. Most importantly, Costa Rica law allows foreign ownership so you can safely purchase investment property or your dream home. Costa Rica has a booming real estate market and as with all things you have good people and bad people. 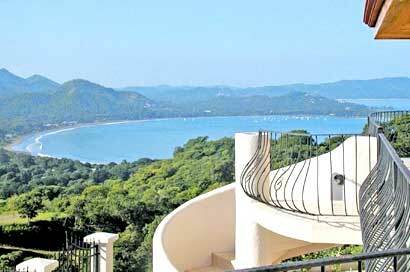 There are dozens of good Real Estate Agents and Real Estate Developers in the Jaco Beach area. There are also some crooks, scammers and hustlers, ask lots of questions and do your research before you consider buying anything. I own a small fish taco stand in Jaco called "bubba's" and get dozens of good real estate agents and developers in to eat every week. Each one has their own niche. Each one has a few special properties. One agent has more experience in mountain property; another has more experience in beach front. One person deals in just condos, one in just commercial real estate. If you are interested in learning more about Costa Rica real estate give me call or send me a email and I will be glad to discuss the good, the bad and the ugly about buying a home, condo or property in Costa Rica. You tell me what you want and I will match you up with a trusted agent that has experience in that market. They can send you prices, photos and information and you can start considering investing in Costa Rica real estate.